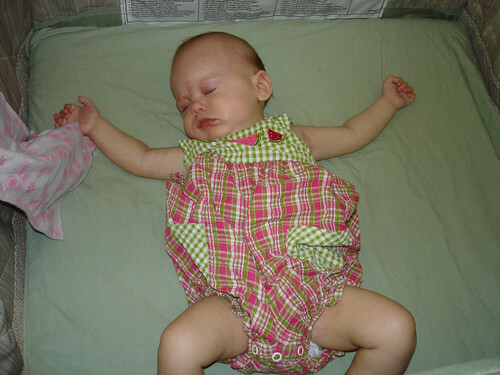 Proof that she once slept unswaddled. It only lasted about 15 minutes, but every little win counts. 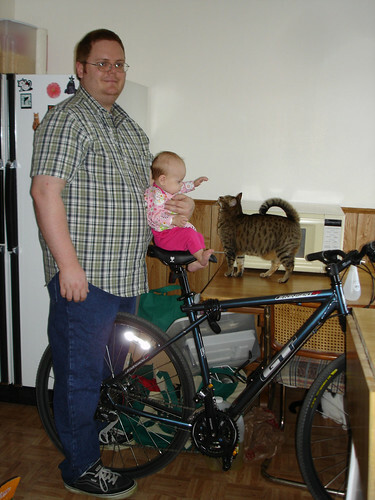 Daddy is holding Lil on his new bike. Lily is way more interested in Kitty. Lily showing off one of the cute new outfits I won for her. 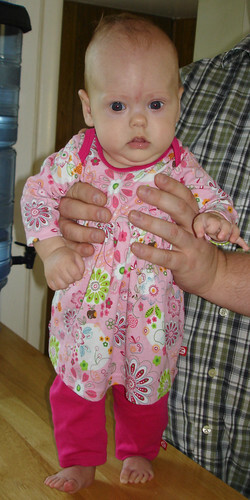 This entry was posted in Fun, Wordless Wednesday and tagged Lil, Wordless Wednesday. It must have been a power nap, because she looks like she’s out cold! She is gorgeous. Those outfits are adorable. My son sleeps like photo #1 most of the time! What a little cutie pie! Happy WW! Those are some cute clothes. Believe me, one day she will be able to sleep unswaddled, and sooner than you think, not when she is 14! So cute in every one! Such a cutie pie! When my daughter saw the picture, she gave her a kiss. Lily is just too stinkin cute! Happy WW! She is adorable! Love the outfits! How cute is she??? Happy WW! she is soooooooooo cute and love the outfits! The first pic is so stinkin’ cute!